Welcome to the North Port Area! We are a family built on the foundation of relationships, integrity, innovation, collaboration, results and excellence. Remember, it's YOUR business and we want to be YOUR Chamber! 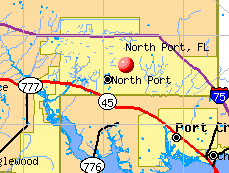 The North Port Area Chamber is working on the 2019 North Port Map. Advertising opportunities are now available. 4,000 Full Color Glossy Maps are created for the public every year. Here is your chance to reach new and current residents of North Port. 6th Annual Swift Plumbers Scramblin' on the Green Golf Tournament with proceeds to benefit the North Port Area Chamber of Commerce will be held on October 12 at Heron Creek Golf & Country Club. Sponsorships available. Read More. "The Chamber in North Port has been such a help and a blessing to me and my company! I highly recommend joining to help boost your presence!" "The North Port Chamber is such an amazing community friendly resource. As a Realtor member, I am given more opportunities to network and stay up with all the events and news of the greater North Port area. Excellent communication from William Gunnin and the staff. Thank you for all you do." 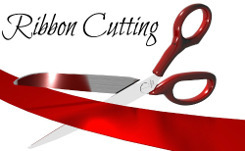 "Congratulations on an amazing Ribbon Cutting this morning! I cannot tell you how proud I am to be part of such a progressive, energetic organization! Your hard work does not go unnoticed." "I attended the North Port Chamber's Lunch and Learn today; it was spectacular! It was standing room only for a speaker directly from Google to help our local businesses learn how to use Google to help their businesses. The City of North Port was recognized heartily for its steadfast support of these educational programs for our local businesses. I believe Randy and Ruth from the Economic Development Department deserve a big pat on the back for bringing this caliber of speaker to our community. It was truly valuable. I really appreciated the learning I took away from the event. Thank you for the City's participation." "Such a great Chamber. Very supportive, active and friendly. Highly recommend!" "This goes out to the North Port Chamber, just wanted to say how AWESOME all of you are. Since my company has become a member, our business has grown and we have been working with some other awesome companies inside the chamber. Just want to say Thank You for all that you do for all of us and looking forward to the future as a member. I highly recommend companies that are not members to be come members. Thanks again. A&F Shuttle Transportation With Class LLC.